Canada has accepted more than 25,000 Syrian refugees fearing persecution in their homeland. Canadian guidelines recommend screening recent refugees from high incidence countries for tuberculosis (TB) and latent TB infection (LTBI). The prevalence of TB in this population is unknown. A refugee clinic in Edmonton presented a unique opportunity to estimate prevalence of TB and LTBI in Syrian refugees arriving in Canada. In January 2016, 100 consecutive Syrian refugees were screened for TB with clinical assessment and LTBI using QuantiFERON Gold In-Tube assay (QFT-GIT). Patients with positive QFT-GIT were referred to Edmonton Tuberculosis Clinic (ETBC) for evaluation and, if appropriate, offered prophylaxis. No cases of active TB were found. Valid QFT-GIT were measured in 99 of 100 individuals and of these, nine (9%) were positive using a threshold concentration of blood interferon-γ greater than 0.35 IU/L. Eight of the nine patients attended follow-up appointments; of these, seven began LTBI prophylaxis and all seven (78%) completed same. The 9% (95% confidence interval 3–15%) prevalence of LTBI was higher than expected in this population. Le Canada a accepté plus de 25 000 réfugiés syriens fuyant la persécution dans leur patrie. Les lignes directrices canadiennes recommandent le dépistage de la tuberculose et de la tuberculose-infection latente (TBIL) chez les réfugiés récents des pays à forte incidence. La prévalence de la tuberculose dans cette population est inconnue. Une clinique pour les réfugiés d’Edmonton a représenté une occasion unique d’estimer la prévalence de la tuberculose et de la TBIL chez les réfugiés syriens arrivant au Canada. En janvier 2016, 100 réfugiés syriens de suite ont subi des tests de dépistage de la tuberculose avec évaluation clinique et de dépistage de la TBIL à l’aide du test QuantiFERON Gold In-Tube Assay (QFT-GIT). Les patients séropositifs selon le QFT-GIT ont subi une évaluation à la clinique de tuberculose d’Edmonton (ETBC) et, le cas échéant, se sont fait offrir une prophylaxie. Aucun cas de tuberculose active n’a été décelé. Des épreuves QFT-GIT valides ont été réalisées chez 99 personnes sur 100, et neuf d’entre elles (9 %) ont affiché des résultats positifs, soit un seuil de concentration supérieur à 0,35 UI/l selon le test sanguin interféron gamma. Huit patients sur neuf se sont présentés aux rendez-vous de suivi, sept ont commencé un traitement contre la TBIL en prophylaxie, et tous les sept (78 %) l’ont terminé. La prévalence de 9 % (intervalle de confiance de 95 %: 3–15 %) de la TBIL était plus élevée que prévu dans cette population. Ethics approval was provided by the University of Alberta Research Ethics Board. American Academy of Pediatrics Red Book. (2009). Report of the Committee oen Infectious Diseases. http://aapredbook.aappublications.org/current.dtl. Citizenship and Immigration Canada. (2015). Population Profile: Syrian Refugees. https://www.leadershipandlearning.commons.hwdsb.on.ca/2015/12/01/citizenship-and-immigration-canada-population-profile-syrian-refugees/. Published 2015. Accessed March 10, 2018. Gallant, V., Ogunnaike-Cooke, S., McGuire, M. (2014). Tuberculosis in Canada: 1924–2012. Canada Communicable Disease Report. 40–6. 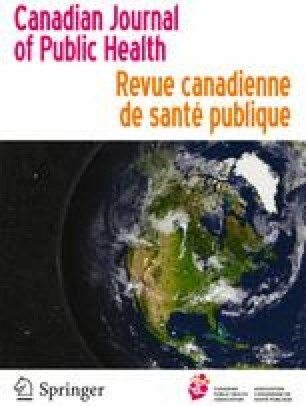 https://www.canada.ca/en/public-health/services/reports-publications/canada-communicable-disease-report-ccdr/monthly-issue/2014-40/ccdr-volume-40-6-march-20-2014/ccdr-volume-40-6-march-20-2014-2.html?wbdisable=true. Published 2014. Accessed March 10, 2018. Immigration Refugees and Citizenship Canada. Who must submit to an immigration medical examination? http://www.cic.gc.ca/english/resources/tools/medic/exam/who.asp. Accessed July 3, 2016. Public Health Agency of Canada. (2015). Tuberculosis in Canada 2013 – Pre-release. Ottawa (Canada): Minister of Public Works and Government Services Canada. http://www.phac-aspc.gc.ca/tbpc-latb/pubs/tbcan13pre/assets/pdf/tbcan13pre-eng.pdf. Published 2015. Accessed March 10, 2018. Rennert-may E, Hansen E, Zadeh T, Krinke V, Houston S, Cooper R. (2016). A step toward tuberculosis elimination in a low-incidence country: successful diagnosis and treatment of latent tuberculosis infection in a refugee clinic. Canadian Respiratory Journal Vol. 23(X). https://doi.org/10.1155/2016/7980869. Sikora C. (2016). Screening tests for Syrian refugees. Alberta Health Service Bulletin. http://www.albertahealthservices.ca/assets/info/hp/phys/if-hp-phys-syrian-refugee-letter-ed.pdf. Published 2016. Accessed May 19, 2016. World Health Organization. (2016a). Syrian Arab Republic Tuberculosis Profile. https://www.extranet.who.int/sree/Reports?op=Replet&name=%2FWHO_HQ_Reports%2FG2%2FPROD%2FEXT%2FTBCountryProfile&ISO2=SY&LAN=EN&outtype=html. Published 2016. Accessed June 6, 2016. World Health Organization.(2016b). Iraq Tuberculosis Profile. https://extranet.who.int/sree/Reports?op=Replet&name=%2FWHO_HQ_Reports%2FG2%2FPROD%2FEXT%2FTBCountryProfile&ISO2=IQ&LAN=EN&outtype=html.Published 2016. Accessed June 6, 2016. World Health Organization. (2016). Syrian Arab Republic: WHO and UNICEF estimates of immunization coverage. http://www.who.int/immunization/monitoring_surveillance/data/syr.pdf. Published 2016. Accessed July 14, 2016.